Just a little over a year ago, 15-year-old budding author David Kummer had written this short story. And to his credit, it's not the only one. There's eight more! This is a tale of how two people had come to each other's rescue. They shared a moment of sorrow and tearful regret. It was a time for healing. The author penned a narrative that carried the storyline with clarity. Well done. Serendipity worked its magic as two strangers in the night crossed paths at a lonely bridge. At first glance, they could have been mistaken for mother and daughter. They weren't. The young girl was perched precariously at the edge of the bridge preparing to leap to her death. Fate had delivered the woman over to this place - at this time. After a gentle moment of commiseration, she was able to talk the despondent teen down.The 14-year-old girl confided she was pregnant. She'd been abandoned by friends and family. In her isolated world she felt she had nowhere to go, no one to turn to. What was the sense of going on?They left the bridge and walked together arm-in-arm. Along the way they confessed their sorrowful past. They had many things in common, mostly loneliness. After a lengthy walk and a much-needed talk, they found themselves standing outside of the girl's house. Uncertain as to how the girl would be treated, the woman remained hidden in the shadows. She was pleased to see the girl warmly greeted by her father. The door closed.The woman turned and slowly walked away. Headed to the only home she had - a cardboard box filled with some personal belongings inside a darkened alley. She reminisced that at one time she had a daughter very much like the one she had met tonight. Though that was 20 years ago. Her daughter had run away while still in high school. Tonight's encounter brought back fond memories and hurtful ones as well. Tonight might have struck a balance somewhere in the universe. In a magic moment of time, she was able to save this girl's life and a family's grief by bringing the young girl home. All by the touch of kindness. Priceless. A nice short storyA homeless woman and a pregnant teen tell each other their stories. By opening themselves to the other, each of them end up finding some peace. It was a touching story even if it wasn't the happiest of topics. The only negative was there were a few glitches. Mainly minor, but one caused me to be thrown out of the story for a bit. Overall, a very enjoyable story and well worth reading. 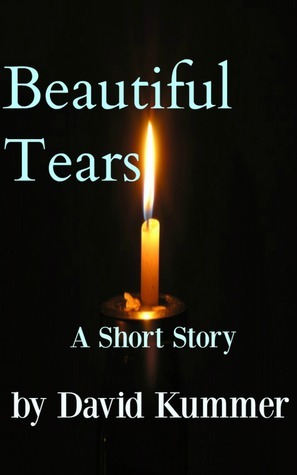 Beautiful Tears was a mysterious short story that really paints images in your mind. The author has brilliant ideas and really knows how to tie them together to make a good story. Beautiful Tears is definitely one story I will read again! wasn't expecting the shock I got from this short read. It was sad, scary, made me angry, hurt and filled with a big chunk of reality. I'm sure that some people will cringe at the thoughts, but these are realities that can happen to anyone. Keep writing David because you hit it on the spot in a great short story. What a beautiful short story, definitely worth your time to read. This story had tears in my eyes while reading and I will take this with me for a while. A beautiful blending of two stories, one told by a teen and the other by an older woman, both with major issues and both searching for love and hope. Extremely short story that seems to be a conversation between two strangers and leaves me with questions. Why does Ruby want to be called Alex? Why is the other woman homeless? What actions did she take to find her daughter? The story seemed to be more an interlude than a story. This is a really good short story. David Duane Kummer - Hi. My name is David Kummer. I'm an author that's only in high school and so I'm still learning and growing and figuring out how to become a better author.If you'd like to know about my releases or promotions as soon as they happen, go here: eepurl/bPgy4nMy name is David Kummer, and I live in Madison, Indiana, which is a small town on the Ohio River. There's lots of history and creepy places, which have influenced my writings. In my book SHE, most of the places and buildings are based off similar settings here in my home town, although I've changed them so you wouldn't know really if I didn't tell you.I would love to get to know you better, so email me at [email protected] or check out my blog at davidkummer. I'm always glad to give out review copies (always most of the time), but love it even more if you pick up a copy to buy. They're all cheap. Reviews are super appreciated.For real, message me either on there or here. I love getting to know people and talking books, sports, favorite foods (mmmm) or whatever your area of interest is.